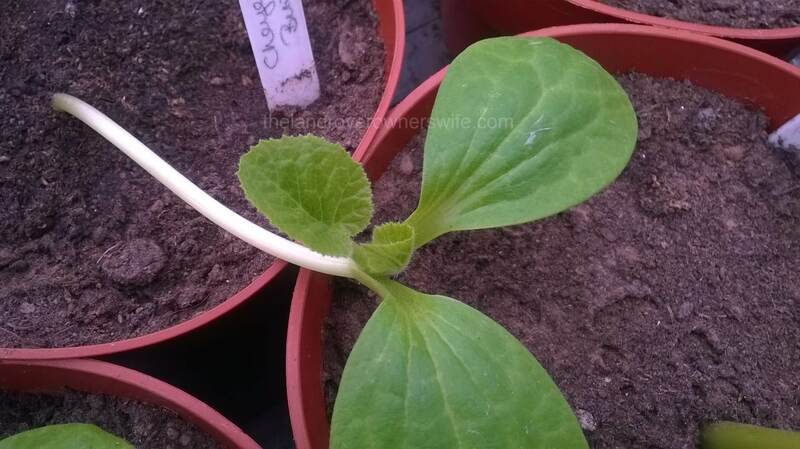 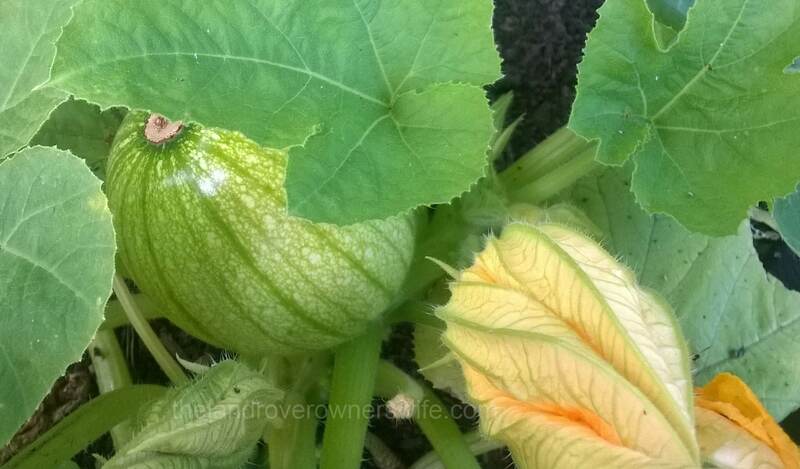 This is the second year I have chosen to grow these and I hope the weather will be kinder and we will have a decent number of pumpkins come October. 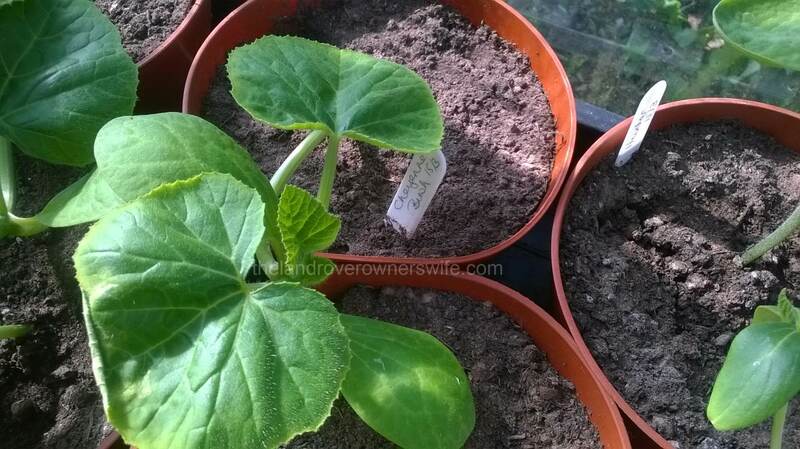 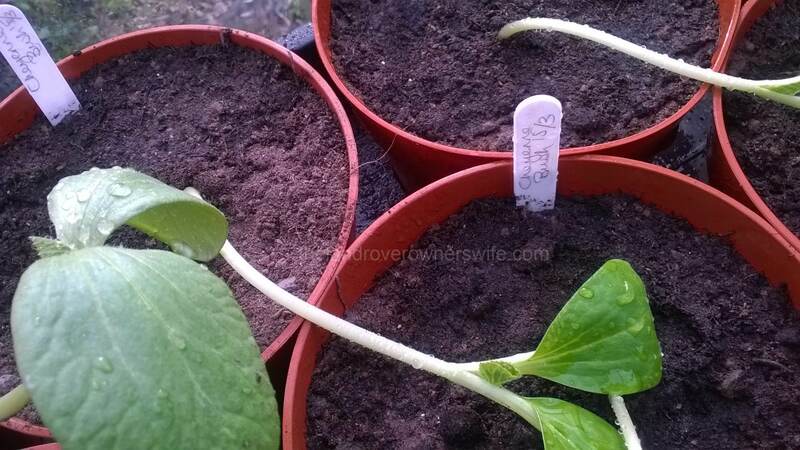 30th March: at just 9 days old the seedlings were quite big and were ready to transplant into larger pots and moved into the large greenhouse. 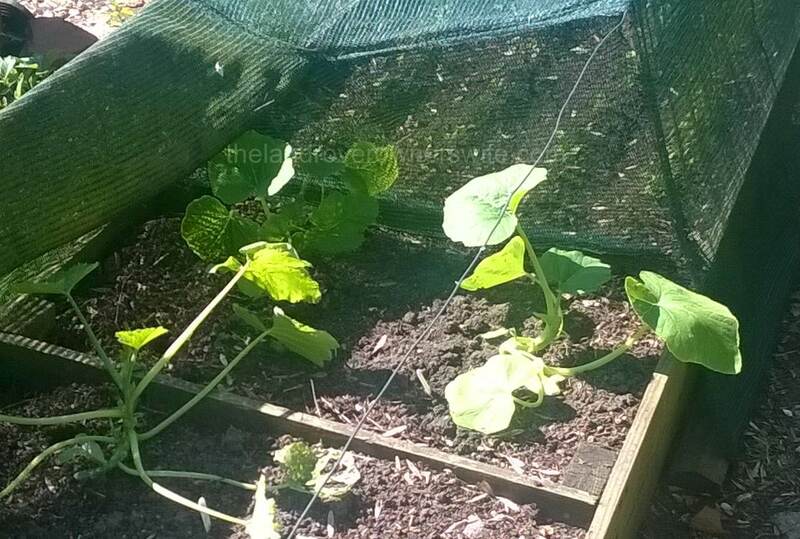 These have been covered with fleece during the nighttime to protect against potential frosts and are doing really well. 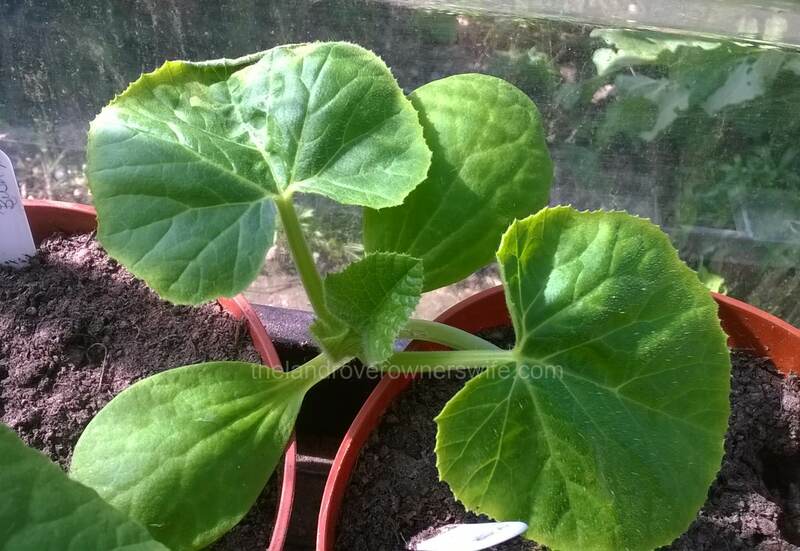 You can see that the first true leaf is just starting to show. 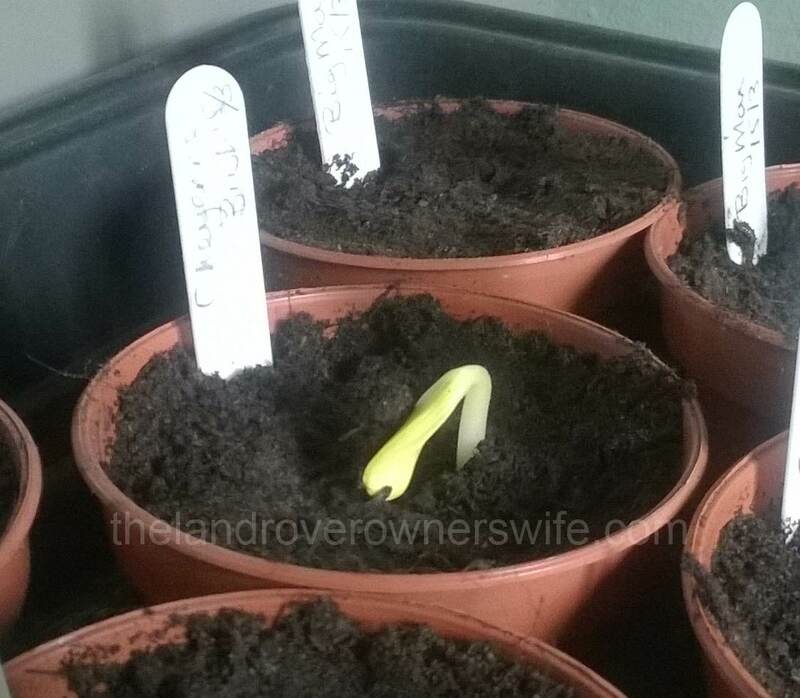 4th April: The fleece blanket is working well and the seedlings are growing well, as you can see from the growth of the first true leaf. 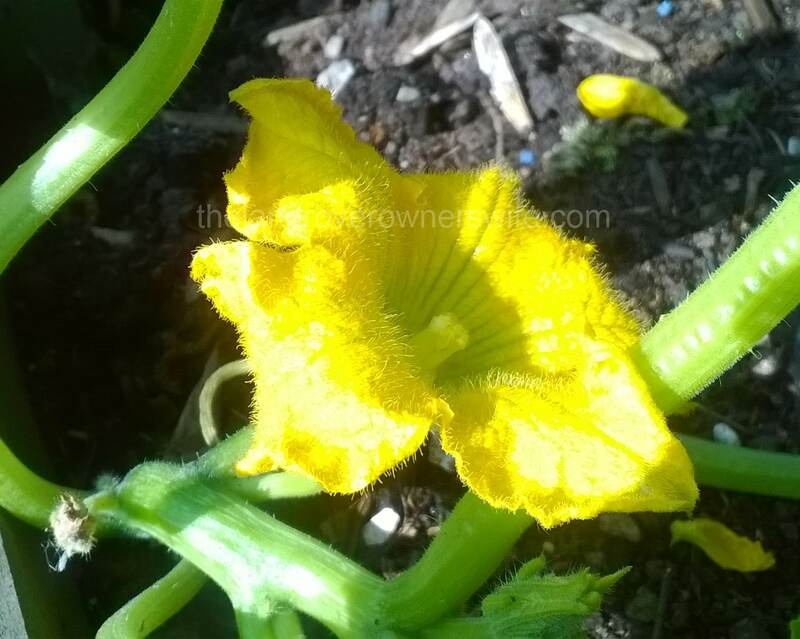 24th June: Fingers crossed that this flower was successfully pollinated. 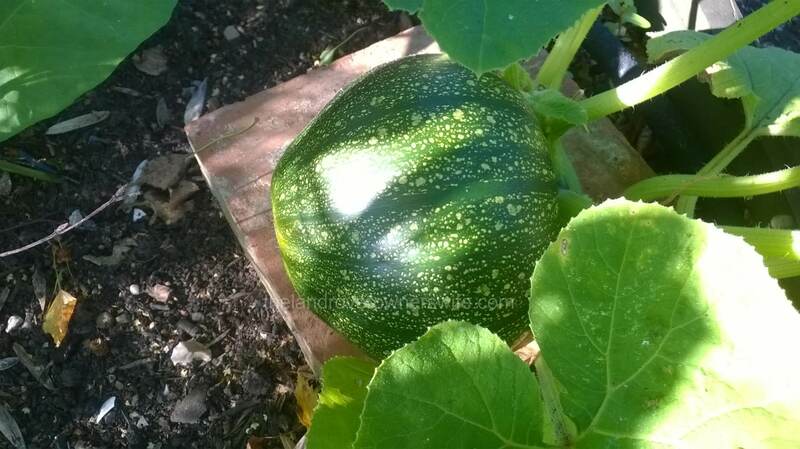 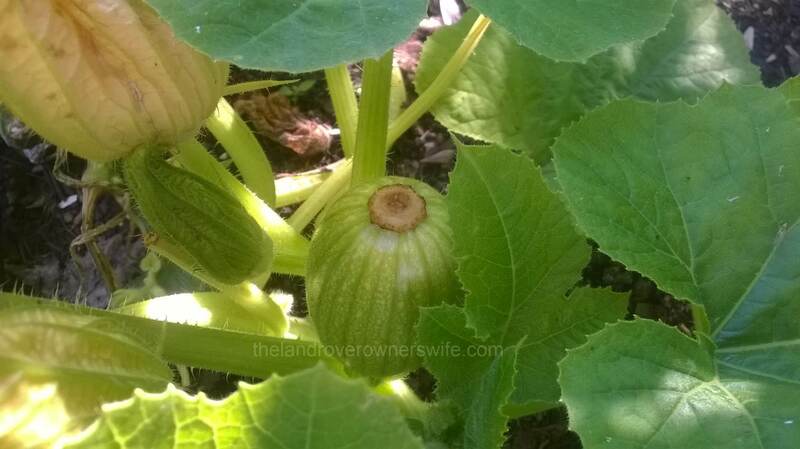 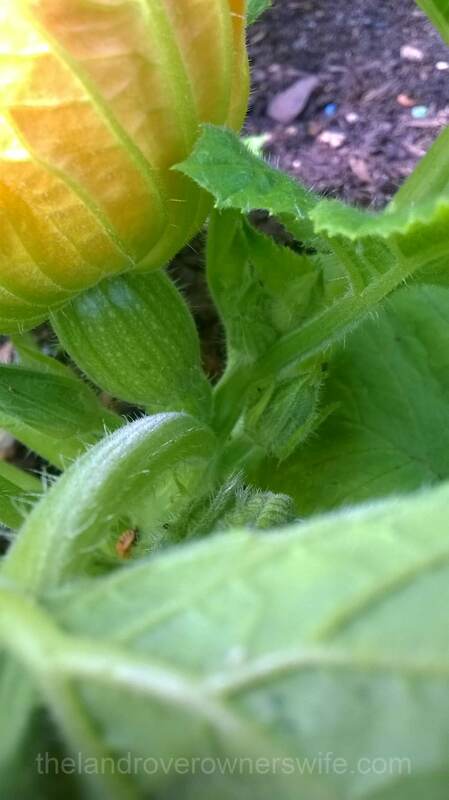 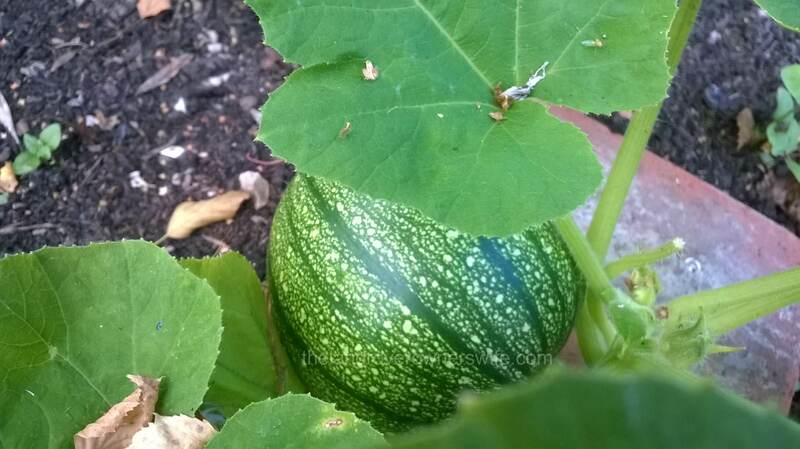 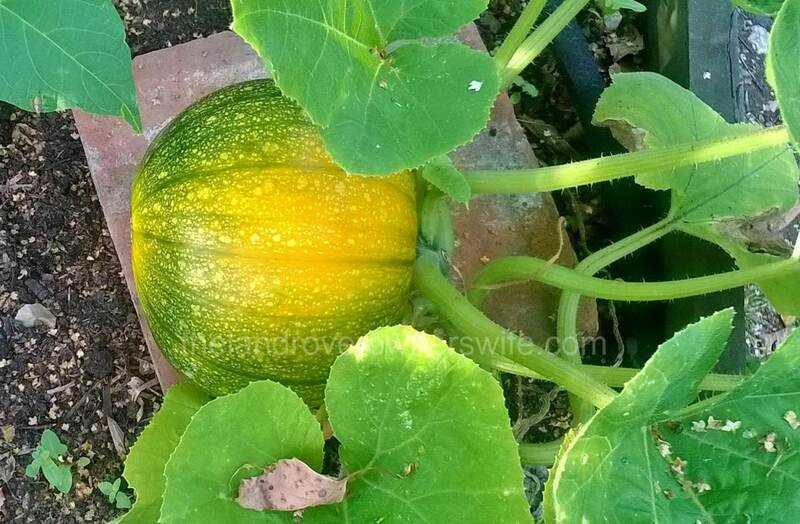 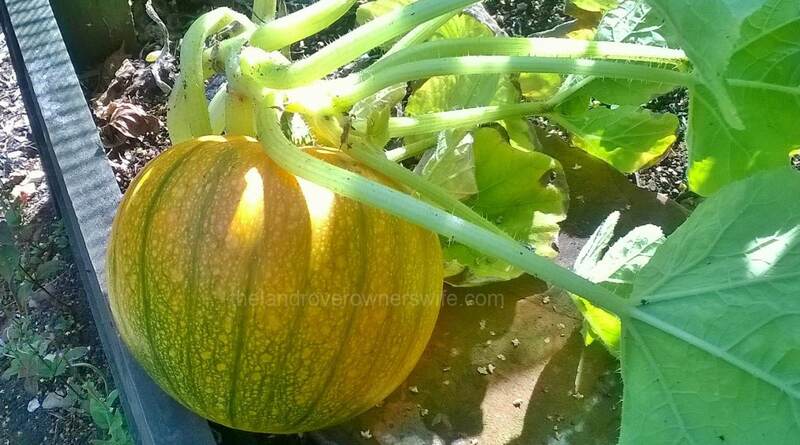 9th August: This is our only pumpkin this year and though relatively small (the size of a large Honeydew melon) it is a lovely looking specimen. 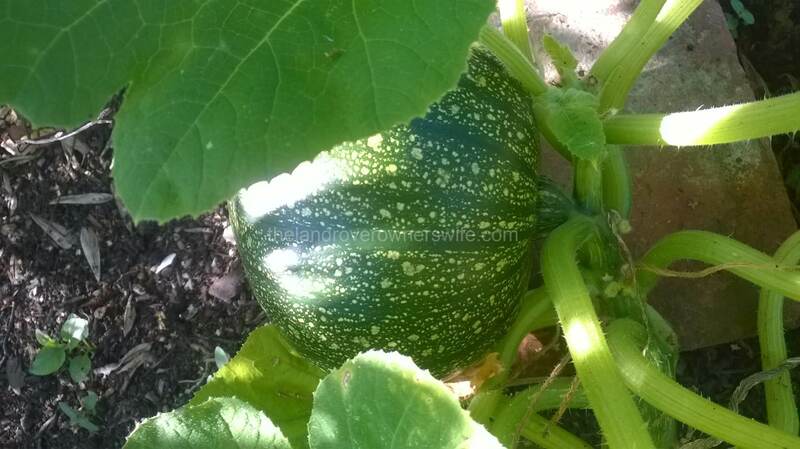 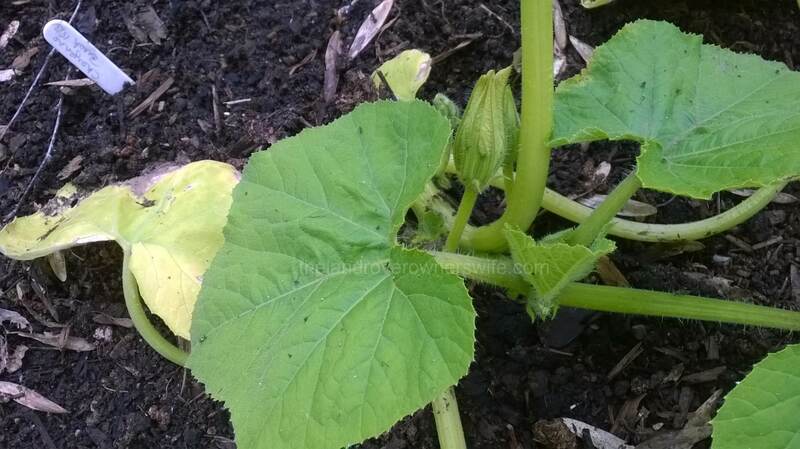 Categories: .... on seeds to seedlings | Tags: Cheyenne Bush Pumpkin, gardening, germination, grow your own, seeds, vegetable gardening, vegetables | Permalink.